For women, whether you are a student or a working professional, makeup is an integral part of your routine to make yourself presentable. While you can separately purchase products, however, buying a makeup kit is a brilliant way to save your precious time and money. As of the moment, there are a variety of makeup kits available in the market; however, you need to pick out the right product which contains the basics you need. 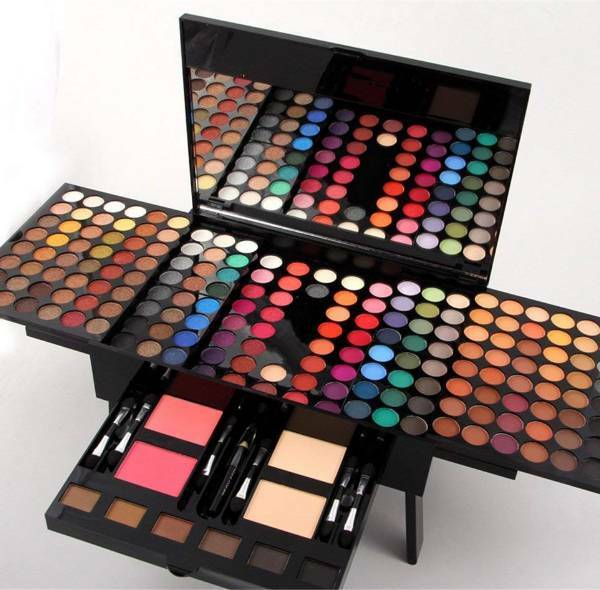 The task of selecting or putting together your makeup kit can be overwhelming. Thus, before you carry on with that challenge we suggest that you read first our insightful blog. How do you do basic makeup for beginners? What every makeup kit should have? Which brand is best for a makeup kit? What are the basic things you need for makeup? What are the makeup essentials for beginners? What order do you apply face makeup? What goes on first when putting on makeup? A good basic makeup kit must include all the essentials we mentioned earlier. Since every individual has different staples, it will be tough to determine one best makeup kit for all. To give you an idea of the best makeup kit available in the market right now take a look at our roundup of makeup kits that’s got everything you need. 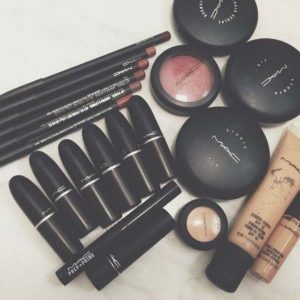 With Make-up Art Cosmetics being one of the leaders in the makeup industry, a MAC makeup kit for beginners is every woman’s dream. In detail, this makeup kit must include the following products: Primer, brow gel creme, blush, powder foundation, liquid foundation, eyeliner, and eyeshadow palette. 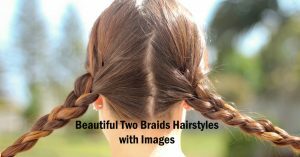 These popular products have received good reviews from users. Although, as one of the leading brands, it’s drawback is its costly price. If you are planning to fill your makeup kit with the list mentioned it will cost you approximately $500. Another notable brand is Sephora. 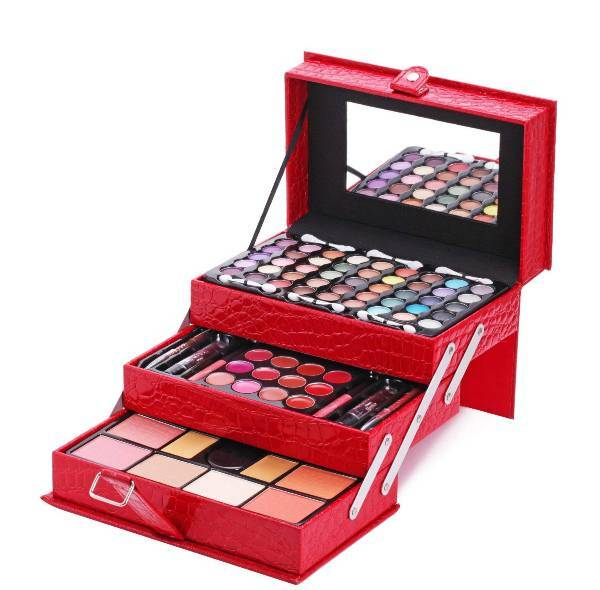 This particular makeup set includes 24 lip glosses, 78 eyeshadows, 6 blushes, and etc. You can likewise choose from a variety of satiny, matte, or shimmery shades. With all of these countless colors available at your fingertips, let your ingenuity play with it! For an affordable price of $24.99, you will get a brow tint, eyeliner, makeup setting spray, eyeshadow palette, highlighting powder, etc. Evidently, with this kind of stash, you are ready to face your day looking good! The brand Lakme prides itself to be a product compatible with all skin types. 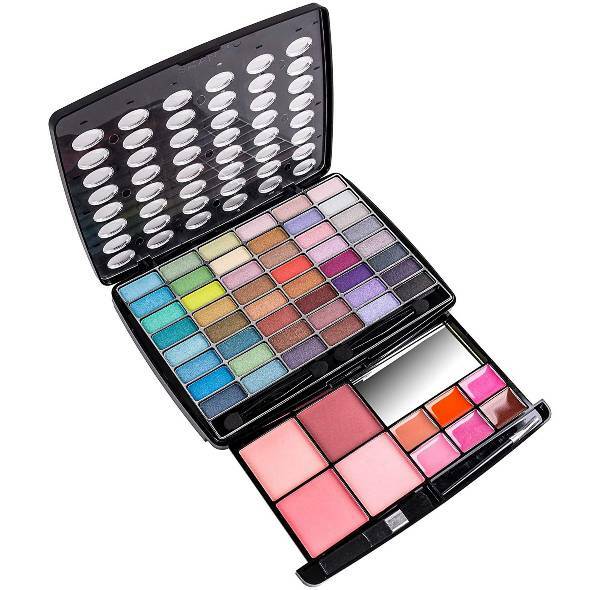 This makeup kit includes 48 eyeshadow, 3 blushers, and 1 compact powder. 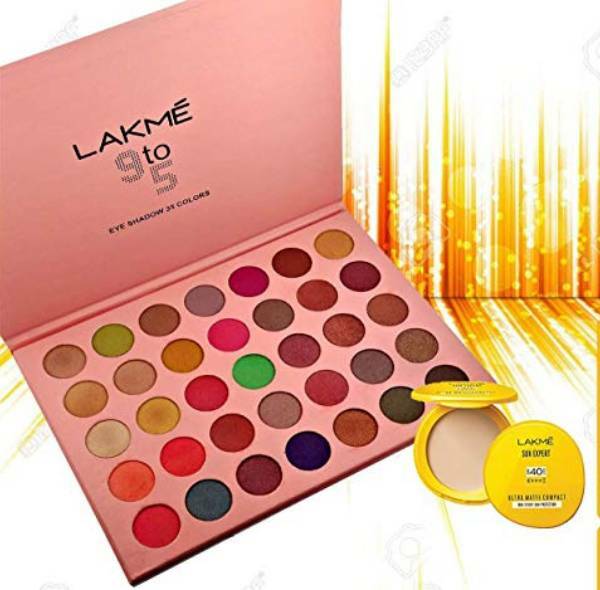 With Lakme 9 to 5 Makeup Kit, you are guaranteed it will retain your skin’s radiance and sparkle. An airbrush makeup kit suitable even for beginners is the Aeroblend Makeup Kit. The package contains 5 foundation colors, highlighter, bronzer, etc. This product gives you complete coverage with your redness, sun discoloration, or even acne without feeling immensely heavy. 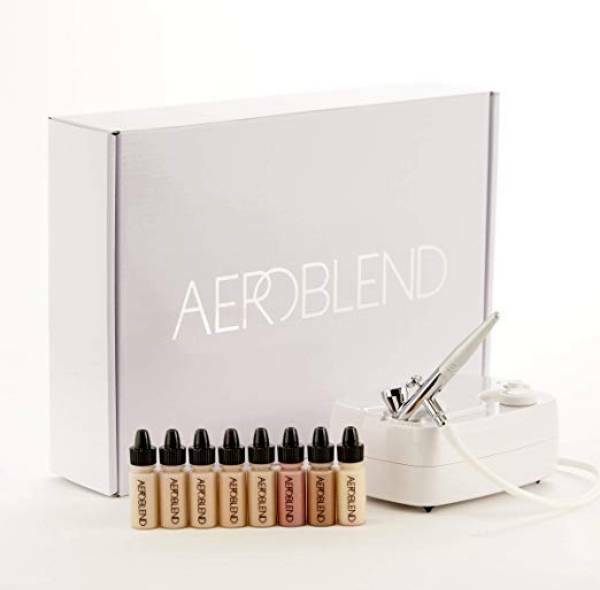 Additionally, in purchasing the Aeroblend Makeup Kit you’ll get a One-Year Full Warranty. 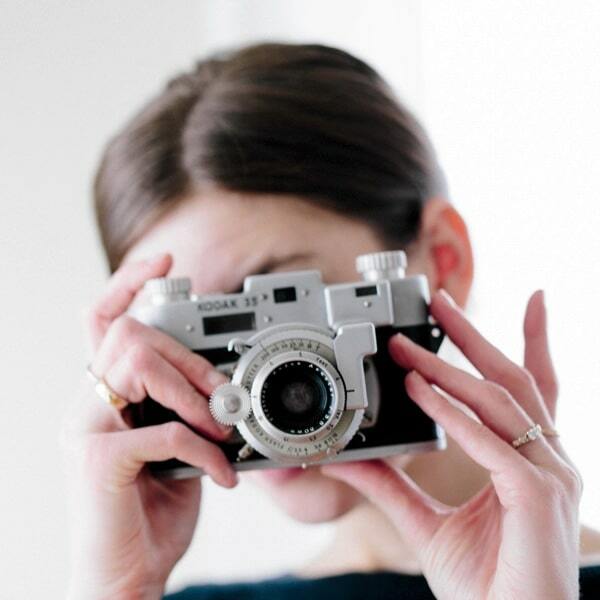 Is traveling part of your daily routine? Bring the Shany ‘All About That Face’ Makeup Kit with you and you’ll never have a shortage of eyeshadows to choose from. 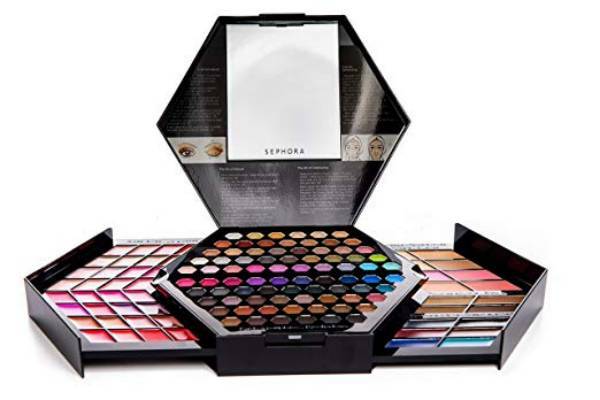 It offers 126 fabulous eyeshadows and 22 lip colors at a reasonable price of $35.49. Now, if you are seeking a compact makeup kit you can carry in your purse then the BR Complete Makeup Kit is a product you must check out. Even with its sleek size, it contains 8 lipgloss, 6 powder, blush, and 36 eyeshadows. 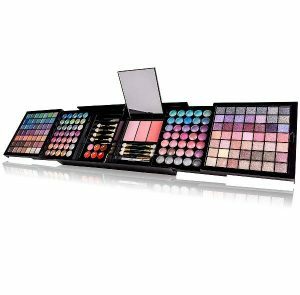 What is good with this makeup kit is that it comes at a budget-friendly price that is highly suitable for beginners. Take note though, while it garnered a good review on Amazon, some users need constant touchups during the day. Makeup newbies will absolutely love the Maúve Makeup Kit. 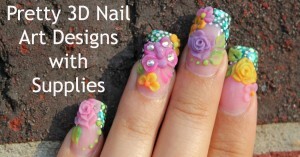 Aside from the assortment of makeup included it likewise includes manicure and pedicure accessories. This convenient makeup kit offers 12 lip gloss, 45 eyeshadows, 1 lipstick, 2 eyeliners, etc. Once you have used up the makeup, you can still use the leather case as an organizer or accessory holder. 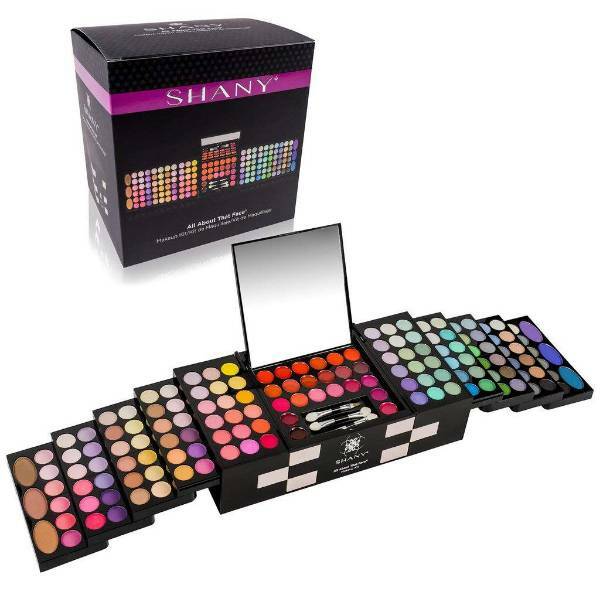 At a low price of $18, Shany gives women a makeup kit consisting of 4 blushes, 48 eyeshadows, and 6 lip creams. Granted that it comes at an affordable price, this makeup kit received a rating of 4.5 in Amazon and amazing reviews from users. In case you want a kit that you can use for special occasions and not just for your daily needs, the Pure Vie Professional All in One Makeup Kit is the one you are looking for. Perfect for any events whether you are attending a casual or formal occasion. 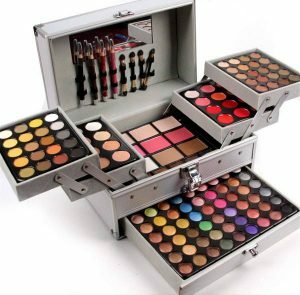 This can even pass as a bridal makeup kit with its 2 face powder, 180 eyeshadow, 2 blushers, and repair powders. 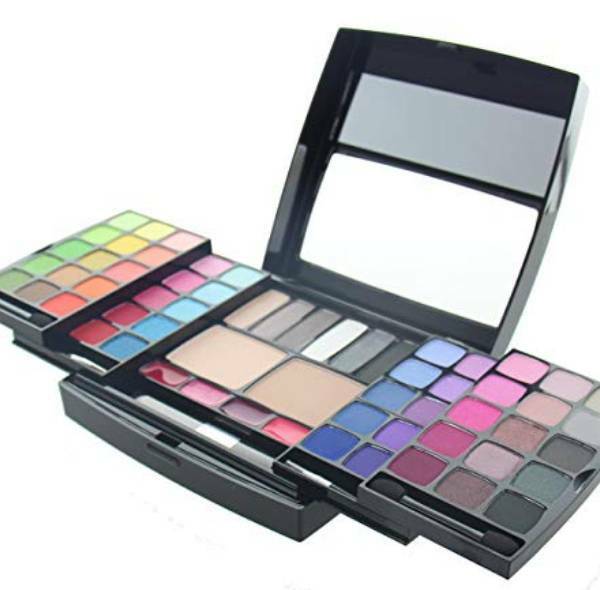 Meanwhile, if you are just looking for a handy eyeshadow palette that you can use for both day and night, then the Best Pro Eyeshadow Palette Makeup is what you need. As you can see below, it has 16 vibrant shades that are blendable and with a smooth finish. Although it received a rating of 4.5 in Amazon, however, a few users find that they need to reapply the makeup within the day. Putting your own makeup can be overwhelming to a beginner. To demonstrate a quick everyday makeup that newbies can easily follow, watch this short and simple video. 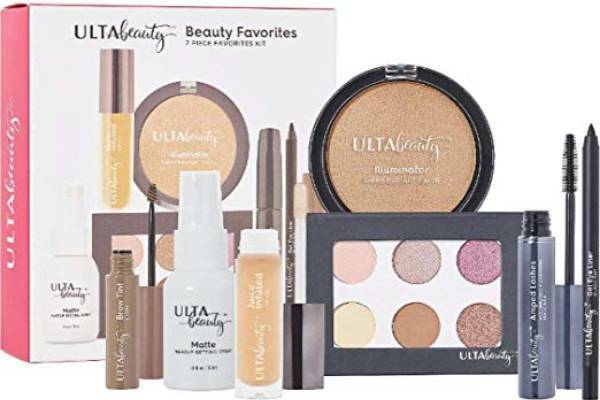 If you just started using makeup and you are currently on the lookout for dependable products, know that makeup kits range approximately $12 to $500. Of course, if you opt for the branded quality goods be ready to shell out a significant amount of cash. However, for beginners, it is best to start out with premium yet affordable brands until you find that product that works well with your skin as well as your budget. Foundation — You can apply foundation by utilizing a sponge. It absorbs the foundation which in turn only applies the right amount of product to your skin. If you only require a light coverage, you can look into using a tinted moisturizer. Concealer — A definite staple to your makeup kit. While it can be difficult for a beginner to learn to apply this, however, this is important when you need to hide blemishes or discoloration. Blush or Bronzer — To give your complexion a tinge of color dust some blush or bronzer. Highlighter — Add in a little highlighter to give your skin a light glow. Eyeliner — Makeup amateurs can opt for pencil eyeliners since it is simple to use. The correct amount of eyeliner can quickly transform your day makeup into the night. Mascara — In the meantime, to provide you that polished look a mascara can help you get that coarser, lengthier, and darker eyelashes. Brow Pencil — Use a brow pencil, brow gel, or a powder shadow to fill in your brow. 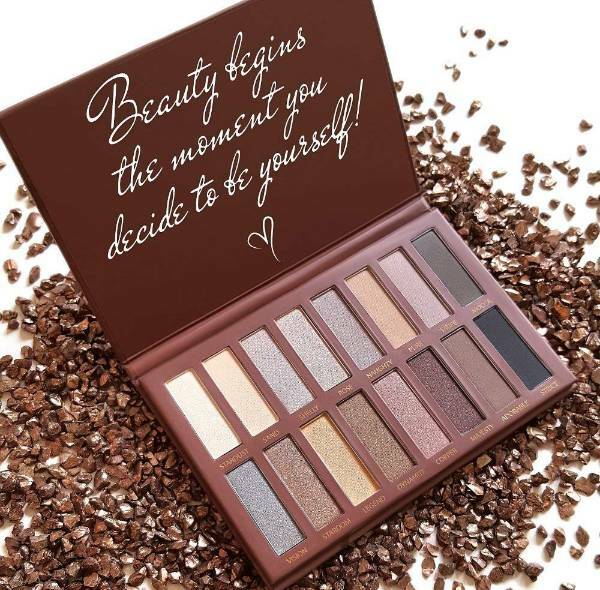 Eyeshadow Palette — Choose a neutral eyeshadow for that straightforward and effortless look. 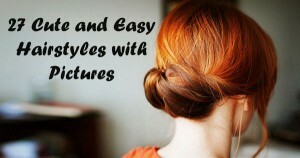 A neutral color is likewise smooth to blend which will be beneficial to beginners. Lipstick — For a luscious pout, just swipe in your favorite lipstick. Lip gloss — If you are aiming for the casual look, you can opt for a lip gloss. Brush Set — To help you obtain that natural look, use the appropriate brush to allow you to control the right amount of product. Nowadays, there are various makeups available from notable high-end brands to budget-friendly ones. If you have the budget, then by all means, go ahead and buy high-quality popular brands. As long as you feel these products make you look good and is fulfilling your aesthetic needs then there is nothing wrong with it. On the other hand, if budget is a concern don’t worry because there are now lots of affordable yet quality products that are compatible and gentle to all types of skin. Nonetheless, a quick research on the internet and you will discover that the ever-reliable brand MAC or Make-up Art Cosmetics is a global leader. This brand is renowned for its stellar and trendsetting collections but of course, it’s on the costly side. Despite this, you’ll be happy to know that there are numerous budget-friendly makeup brands available in your local drugstore. As a beginner, you can start with the basics we listed above. Stick with the essentials and in return, you will avoid purchasing a multitude of eyeliner, brushes, and lipstick you most likely will end up not using. Always remember to cleanse your skin before applying your makeup. After layering all your skin care products, allow it to set at around 30 minutes. Once your skin is ready you can start applying your makeup in the following order: foundation, concealer, blush, bronzer, highlighter, eyeshadow, eyeliner, mascara, and lastly lipstick. As mentioned earlier, it is important that you start by cleansing your skin before applying any skin care product. 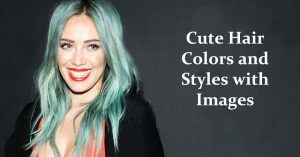 Keep in mind when applying these products the general rule to follow is to apply first the product with the lightest consistency to the thickest. In other words, remember it’s liquids first before oil. Thus, skin care products should be applied in the following order: cleanser, toner, serum, cream, moisturizer, and sunscreen. Overall, as a beginner, you will definitely go through the process of trial and error when it comes to your makeup kit. Nevertheless, to keep from wasting money stick to the list of basics we provided. You don’t need to buy a slew of lipsticks, eyeliners, or shadows at the moment since you are just starting out. Likewise, before purchasing make sure that the product you are eyeing is compatible with your skin to avoid allergies. It is also important that the product you will purchase is something that you can easily apply. If you are not yet comfortable using liquid eyeliner, then just keep on using the pencil type or any other variant that you are confident in using. 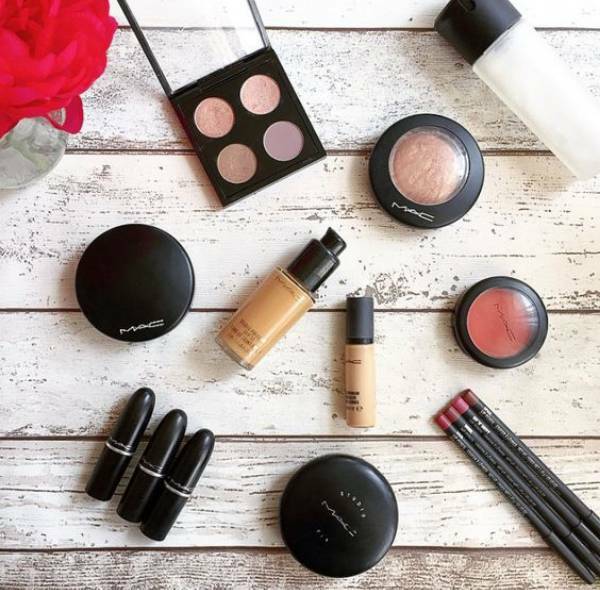 In selecting your makeup kit, what is essential is that it is comfortable with your skin, plus it makes you look and feel good.